Today's share is another card using the Oh So Eclectic Bundle. Quite a simple card but one that looks great and is easily duplicatable. Besides the sentiment, this card uses only one stamp and one thinlit. Such a simple design of three flowers in a row, with the added detail of a metal rimmed pearl in the middle. A touch of bakers twine and the card is complete. A great card for beginners and those more advanced. 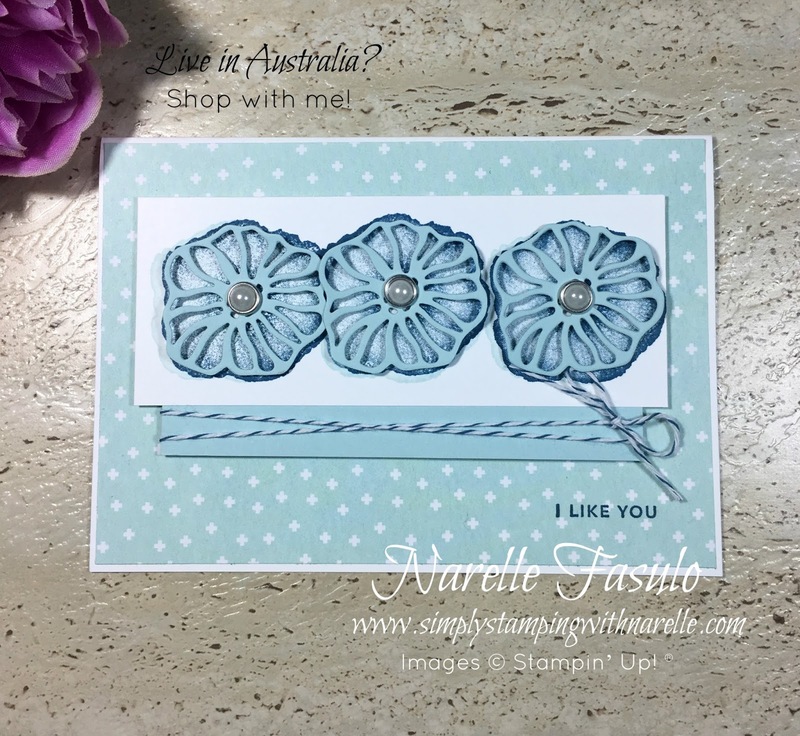 This is what my Stamping By Mail classes offer, projects for all levels of experience. All the eight projects come with full colour instructions too. So if you want to make some beautiful projects in the comfort of your own home at a time that suites you, then why not register for this months class.